About a year ago, Ryan Fresco and a group of ninth graders were moving a lacrosse goal across a practice field. In a freak accident, the goal fell on Ryan, causing his head to split open. This is what his mother saw when she rushed to the scene and subsequently delivered him to doctors for emergency treatment. The deep gash required immediate attention and staples in Ryan’s head. What his mother didn’t see couldn’t see, was an even more serious injury – a concussion that would change Ryan’s life for nearly a year. As a freshman, Ryan was already a star athlete at Godwin High School, a cross-country runner making a name for himself among Henrico County’s best. While he’d hoped to play JV lacrosse as well, he wouldn’t return to lacrosse tryouts or running during that spring of 2012. Almost immediately after the accident, Ryan complained of dizziness and even needed help walking. His speech was affected and his head hurt. He was extremely sensitive to light and noise. He had no appetite and couldn’t follow simple instructions. He was diagnosed with a concussion. While this was a new experience for the Frescos, they assumed the symptoms would dissipate and Ryan would return to normal in a week or two. But Ryan’s concussion did not heal as they expected and his symptoms went from temporary to sustained and long-term. According to the Centers for Disease Control and Prevention (CDC) , approximately 1.7 million traumatic brain injuries (TBIs) occur every year. Nearly half a million emergency room visits for TBIs are for children under 14. Along with seniors and children under four, adolescents 15 to 19 are the most likely to sustain a TBI. Concussions are always classified as a TBI, but are often mild in nature. A concussion can be caused by any blow to the head, neck or upper body that jolts the brain, causing it to slide forcefully against the inner wall of the skull. Any sudden acceleration or deceleration of the head can cause a concussion. While Ryan’s concussion was the result of an accident, concussions have been linked to shaking (as in shaken baby syndrome), car crashes, playground activity, bikes, skateboards, organized sports, and what most of us would consider general recreation. Kris Caplinger coaches youth basketball and is director of basketball for Glen Allen Youth Athletic Association. She is also the mother of four girls. As a coach, she is well-equipped to recognize the signs of concussion – even when they occur in an unlikely situation. Last summer, her 7-year-old daughter, Rhys, rode a roller coaster at a theme park nearby. Within minutes after exiting the ride, she complained that her head hurt. Caplinger said, “She looked at us and said ‘I feel like I’m dreaming. '” Their daughter’s symptoms immediately put her parents on alert. Over the next couple of days, the headaches persisted and like Ryan, she was sensitive to light, even when it was relatively dark. Diagnosed with a concussion, Rhys missed school and was told to refrain from physical activities for two weeks. What makes her Injury different is that the concussion was not the result of a blow or sudden impact. It was simply caused by the whipping motion that often comes with riding a roller coaster. Having recognized the signs, Caplinger says, “I think the important thing is [for adults] not to negate the head injury.” Even a mild concussion should be treated by a medical professional. As with Rhys, treatment usually means abstaining from cognitively taxing activities like school and electronics. In addition, no child should return to sports or physical activities until the brain has fully healed. 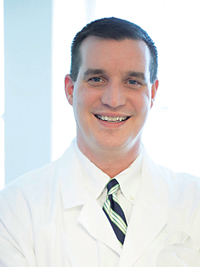 Stacey Epps, MD, a neurology specialist with Bon Secours, says, “The immediate term following a concussion injury is a time in which the brain is at a metabolic disadvantage. During this period, the brain is more subject to subsequent injury and therefore needs time to heal.” If a child sustains a second concussion before healing, it could lead to a prolonged recovery period and further complications. According to Dr. Epps, doctors have learned in recent years that “concussion begats concussion – and that we need to rest players and slowly return them to normal. Also, there is the realization that this is a true injury much the same as a sprained ankle or broken bone.” He also reports that research is ongoing into the long-term effects of multiple concussions. While organized sports are not the only cause of concussions in children and adolescents, they are often the most publicized. In recent years, many recreational sports groups and public schools have worked to improve education and awareness among athletes, coaches, and parents. In 2010, the General Assembly passed a law requiring the Virginia Board of Education to create guidelines on how public schools handle concussions among their student athletes. According to Andy Jenks, director of communications and public relations for Henrico County Public Schools, “Coaches must watch a webinar and take a test provided by the National Federation of High Schools. A certificate is kept on file At the school for each coach who has passed the test.” As far as equipment goes, helmets are replaced and reconditioned according to National Operating Committee on Standards for Athletic Equipment (NOCSAE) standards. Chesterfield County has similar requirements and both counties review their concussion policy annually. Parents and student athletes are also required to sign a contract stating they have been informed about and understand the signs and symptoms of concussions. 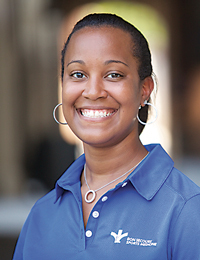 Shanae Norman is a certified athletic trainer at both the high school and college levels. She is also the athletic training coordinator for Bon Secours Medicine and is actively involved in improving awareness about concussion prevention and treatment. According to Norman, TBIs must be evaluated on a case-by-case basis and symptoms are not the same with every child. She has witnessed the effects first-hand and says that while you can’t fully prevent them, education is the best defense. Patty Puglisi knows that story well. Her daughter sara, an eighth grader in Henrico County, sustained a concussion while playing middle school basketball. Attempting a layup, sara collided with an opposing player and stumbled, falling head first into a cinderblock wall. Incidents like this are just one of the reasons both Norman and dr. EPPS recommend all children participate in baseline imPACT testing before participating in contact sports. ImPACT, which stands for immediate Post-concussion Assessment and Cognitive Testing, is a scale which allows the medical professional to better assess the post-injury condition and manage individual symptoms. Although baseline testing is not currently required by virginia law, Jenks reported that some Henrico County High schools have already implemented the testing and all are moving in that direction. While most kids will return to normal activities within two to three weeks, some concussions are more serious. Neither Ryan Fresco nor his family could have imagined his symptoms would last for months. Ryan missed nearly nine weeks of school and suffered from concussive headaches for seven months. He had difficulty sleeping, was irritable, and often confused. Not only was he unable to return to running, he couldn’t watch television or use the computer without getting headaches. Willing himself to be better, Ryan was prone to downplaying his symptoms. Ryan’s mom Caryn Fresco says, “it’s a known fact that often the concussed person does not recognize Changes, but friends and family can. That was very true with Ryan.” Norman agrees, recommending that in sports, teammates look for signs of concussion. While no longer the norm, there are still athletes who will hide the symptoms from coaches to return to the field as soon as possible. In the fall of 2012, Ryan was able to return to running and school but according to his mother, he had to “relearn how to learn” and work hard to regain his running strength and times. Still, because of the severity of his concussion, his brain chemistry may be forever changed. Sara Puglisi, an eighth grader at Byrd Middle School, was penetrating the lane for a layup, something she had done hundreds of times before. After bumping bodies with a defender, Sara lost her footing. Her head slammed into a cinderblock wall. The young athlete immediately had a seizure and had no feeling below her neck and waist. She was strapped down by emergency services and rushed to MCV. Fortunately, her symptoms were temporary and she was diagnosed with a severe concussion. While the area directly behind the basket was padded, the full length of the wall from sideline to sideline was not. Later, after Sara was diagnosed with a TBI and began to deal with the realities of recovery, her parents Patty and Wayne Puglisi vowed to try and change that. Reaching out to parents of both the girls’ and boys’ teams at their home school, they spread the word about the mission. While Byrd already had extended padding (the injury occurred at a Hanover school), the families and coaches at Short Pump Middle School and Godwin High School responded enthusiastically. Both schools have since installed the new padding. The Puglisis also contacted the Hanover school where Sara was originally injured, but before they could finalize their offer to help raise funds, the school had already installed the new padding. While concussions cannot be avoided entirely, full-length and extended height padding on gym walls might lessen the risk of more severe TBIs. The Puglisis advise parents who are interested in implementing safety measures to help protect students to approach the athletic director or administrator of their home school. In their experience, the administrators and coaches have been responsive and supportive, working with the parents who spearhead the project. Because the projects completed to date have been parent-driven and parent-funded, the counties have not incurred any expense in the purchase or installation of the padding. Concerned parents have also been the driving force behind the addition of ImPACT testing at some area schools. While still not mandatory in the state of Virginia, more schools are opting to voluntarily add the testing to establish baseline results for all of their student athletes, no matter the sport classification. 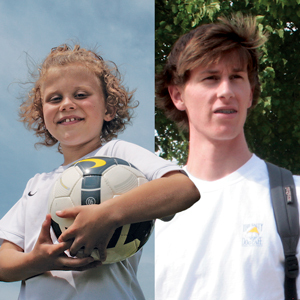 Outside of school-mandated testing, the ImPACT test is available to any parent of a child participating in sports. Because Sara was active in contact sports, the Puglisis had her tested last August. That baseline was used frequently throughout her treatment and post-concussion assessment. To learn more about ImPACT testing, visit impacttest.com.